Nissan and Suzuki will be expanding their collaboration with sharing vehicle platforms and rebadging. Currently Suzuki supplies some small cars for Nissan to rebadge. 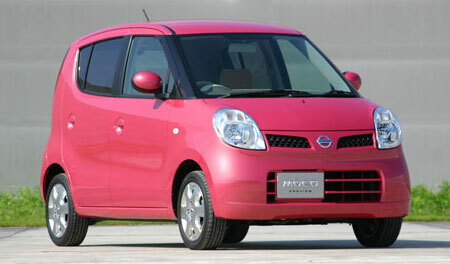 An example would be the Suzuki MR Wagon, which Nissan rebadged as the Nissan Moco. These small cars are usually sold in the Japanese market only. The agreement cites the possibility of new products for the Japanese market. If feasibility studies go well, Nissan will be supplying a minivan to Suzuki to rebadge, and Suzuki will supply another mini-car like the Suzuki MR Wagon to Nissan to rebadge. This is expected to begin at the end of 2006. From 2008 onwards, Nissan might supply a compact pick-up truck to Suzuki to rebadge for the North American market. This might be a pick-up like the Nissan Frontier, as it’s considered small by American standards of huge 4 litre engined monster pick-ups. Nissan and Suzuki will also begin manufacturing collaboration by sharing facilities. The first facility to do this will be Suzuki’s Indian plant. This is an example of a successful collaboration between car manufacturers.